Play a fun game with family and friends or challenge yourself with this round wooden labyrinth ball game. The rich wood fabrication makes this game a great conversation piece while providing fun and entertainment for all of your guests. 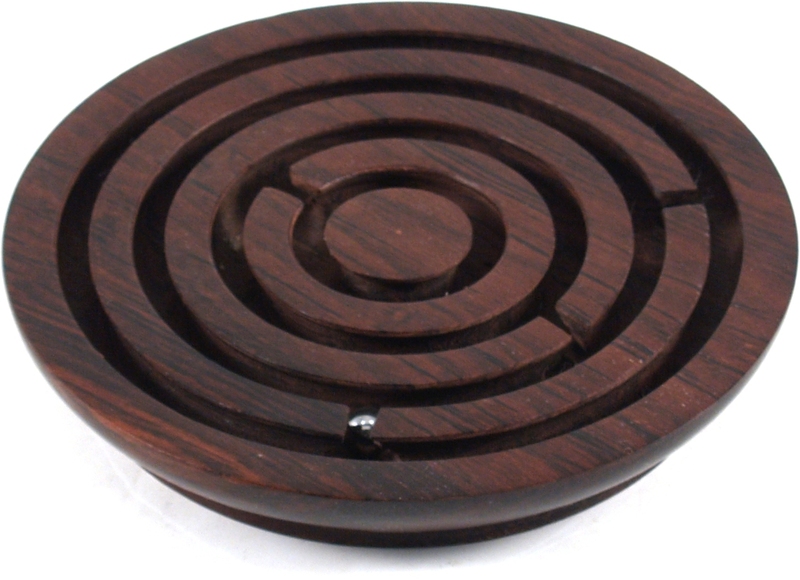 The object of the game is to maneuver the metal marble that's inside the wooden frame through the different rings and openings into the center. Sure to entertain all ages, this wood ball and maze game makes for an ideal gift.